Birth, marriage and death records (BMDs) are the building blocks for all family trees. For Irish family researchers, there are some key pieces of information you need to know when using civil registration collections to trace your ancestors. Civil registration began in Ireland in 1845, but only for non-Catholic marriages. For all other records, it began officially in 1864, which is relatively later than the UK (1837). If you are searching for records pre-1845, you'll be relying on church records rather than civil registrations. 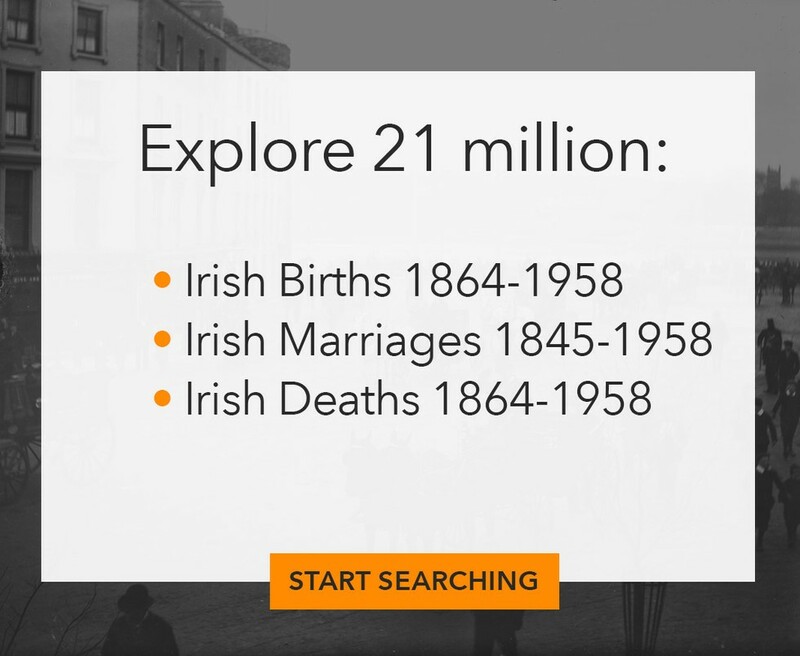 On Findmypast, you'll find the indexes of Ireland's births, marriages and deaths. You can search them by name, event year and registration district. Ireland has 162 registration districts and many of them cross county-borders. These are essential to know when trying to pinpoint your ancestors in the records. 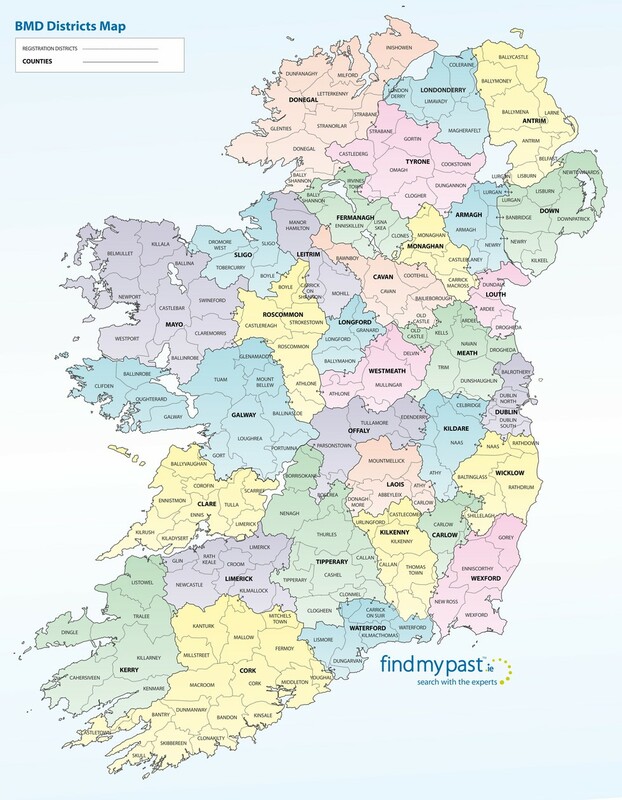 Once you've found the record you're looking for using the nifty search tools on Findmypast, you can then locate the official certificate on irishgenealogy.ie, the official Irish government website. You'll need to perform the search again and enter your details to access the records but they are completely free to view. Due to data protection reasons, full certificates are only available on irishgenealogy.ie for births over 100 years old, marriages over 75 years old and deaths over 50 years old. 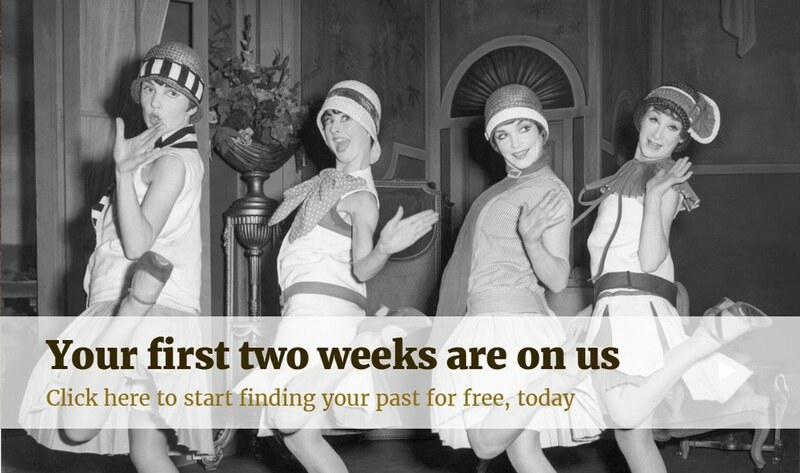 However, you can still search indexes up to 1958 on Findmypast. Alternatively, you can also obtain a certificate in person at the General Register Office (GRO) in Ireland or order one through their online ordering system. Each record you find will generally get you back into another generation of your Irish family. Birth records should include parents' names whilst marriage records usually feature both spouses' fathers' names. Once you have those details you can use the records again to start your search on the family members you've just traced.